I come from family of teachers and believe strongly that like Mandela said, "Education is the most powerful weapon which you can use to change the world". 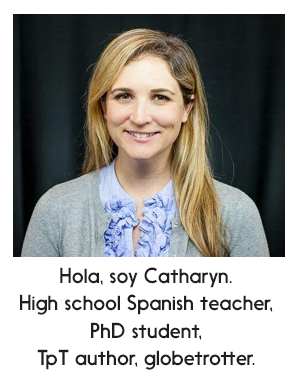 I learned Spanish growing up in Phoenix, studying abroad in Valencia, Spain, and then Santiago, Chile. I've gotten to work, volunteer, and travel all over the Spanish-speaking world, most notably teaching 1st and 2nd grade at a bilingual elementary school in Honduras. I taught all levels of High School Spanish at a large Title 1 public school for six years. I was the Arizona Language Association's "Young Educator of the Year" and won a Century Link Grant for Technology Innovation which supplied iPads for my classroom. I served as my school's staff development coordinator for two years before departing K-12 to pursue my PhD in educational technology at Arizona State University. I currently conduct research and teach in the university's pre-service teacher program. You might also enjoy Secondary Spanish Space, a collaborative blog where I share ideas with nine other Spanish teachers from around the U.S.